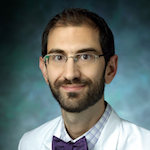 Dr. Emmanuel Antonarakis provides an update on treating chemo-naive metastatic hormone sensitive prostate cancer and then discusses the impact of AR-V7 in castration resistant prostate cancer. Dr. Antonarakis is an Associate Professor of Oncology and Urology at the Johns Hopkins Sidney Kimmel Comprehensive Cancer Center. He obtained his medical degree from the University of Wales College of Medicine (United Kingdom) in 2003, and then completed a Residency in Internal Medicine at the Johns Hopkins Bayview Medical Center, followed by a Fellowship in Medical Oncology at the Johns Hopkins Hospital. In 2010, he joined the Johns Hopkins faculty as an attending physician and translational researcher. Dr. Antonarakis’ clinical interest is the management of prostate cancer and other genitourinary malignancies (cancers of the bladder, kidney and testis). 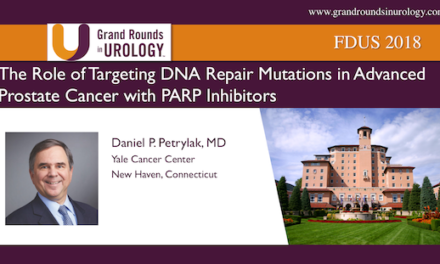 His research focuses on drug development and clinical trial design for patients with prostate cancer. More specifically, he is interested in developing novel androgen-directed therapies, as well as immunotherapies for men with recurrent or advanced prostate cancer. He also has an interest in biomarker development, specifically the clinical validation of the AR-V7 biomarker.